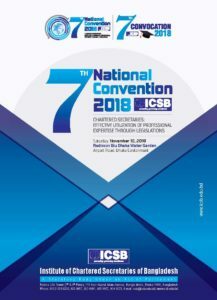 Prof. Dr. M. KhairulHossain, Chairman of Bangladesh Securities and Exchange Commission (BSEC) underscored the need for professional development of the Company Secretaries in ensuring corporate culture and strict compliance of securities laws and corporate governance in all listed Companies of the country. Terming the Company Secretaries as the bridge between Directors and the general Shareholders of a company, he urged upon the professional Members of the Institute of Chartered Secretaries of Bangladesh (ICSB) to maintain honesty, dignity and integrity in looking after Management and shareholder’s interest as well as the compliance of rules and regulations of the regulatory bodies for the greater interest of the Capital Market. The Chairman of BSEC elaborated on the major reforms made by the BSEC during last two years and expressed that general Shareholders and all the stake holders of the Capital Market will get benefits of those reforms very soon. Terming the Demutualization of Stock Exchanges as a milestone in the Capital Market, the Chairman hoped that when demutualization will start functioning in both DSE and CSE, the capital market would play an effective role in development of our national economy. The Chairman was talking to the newly elected Council Members of Institute of Chartered Secretaries of Bangladesh when they met the Chairman in a formal call on Meeting at 3:30pm of October 7, 2013 at BSEC Board Room headed by its President Mohammad AsadUllah FCS. Earlier, the President introduced the newly elected Council Members of ICSB to the Chairman, BSEC and highlighted on various activities that the Institute undertook for professional development of its Members as well as its future plans. The President also elaborated on the formation of the Institute by the Chartered Secretaries Act 2010 under which brought the Institute as a statutory body under an act of Parliament. 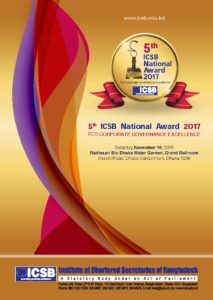 The President apprised that ICSB is the Member of Corporate Secretaries International Association (CSIA) based in Geneva, Switzerland and the Professional Courses the Institute is providing is of international standard education in line with UK, India and other developed countries of the world. The activities of the Institute match with the objectives of BSEC and the Members of ICSB have been working to materialize the same in practical field, the President added. Later Mohammad AsadUllah FCS handed over to the BSEC Chairman a set of books published by the Institute on Secretarial Standards on Board Meeting and Annual General Meeting and also on Private Practice Guide Lines and requested the Chairman of BSEC to include those standards and guidelines in the Securities Law and corporate governance guidelines. Mr. M HelalUddinNizami, Mr. Arif Khan, and Md. 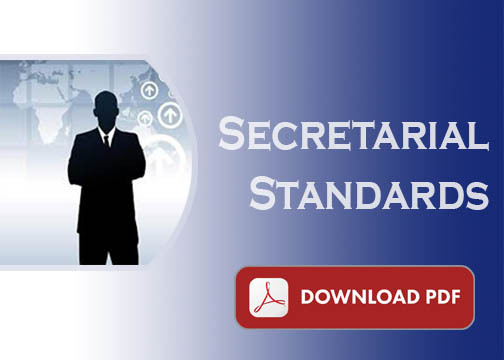 Abdus Salam Commissioners of BSEC spoke on the occasion and highlighted the importance of Company Secretaries profession in corporate sector development of the country. 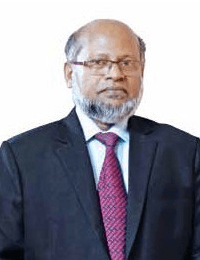 Senior Vice President of the Institute M. Naseemul Hye FCS, Vice President Md. MonirulAlam FCS, Secretary of the Institute Mustafa Mohiuddin and Council Members N.G Chakraborty FCS, Md. Selim Reza FCS, M. NurulAlam FCS, Hossain Sadat FCS, A.T.M Tahmiduzzaman ACS and other Council Members were present during the call on meeting.